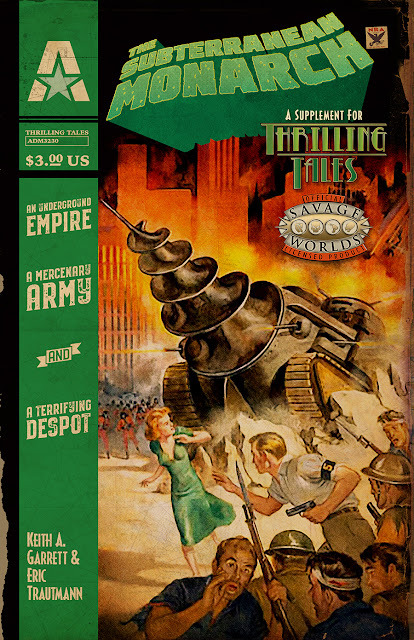 Each Pulp Villains release will detail a nefarious non-player-character, ready to be dropped into your pulp-genre Savage Worlds game, fully statted, with details on their methods, motives, special gear, henchmen, allies and more -- along with a collection of adventure hooks for their use. “But no more! I will restore your kingdom. I will rule. And I will nally reap the rewards owed to me...and elevate you back to your rightful glory! 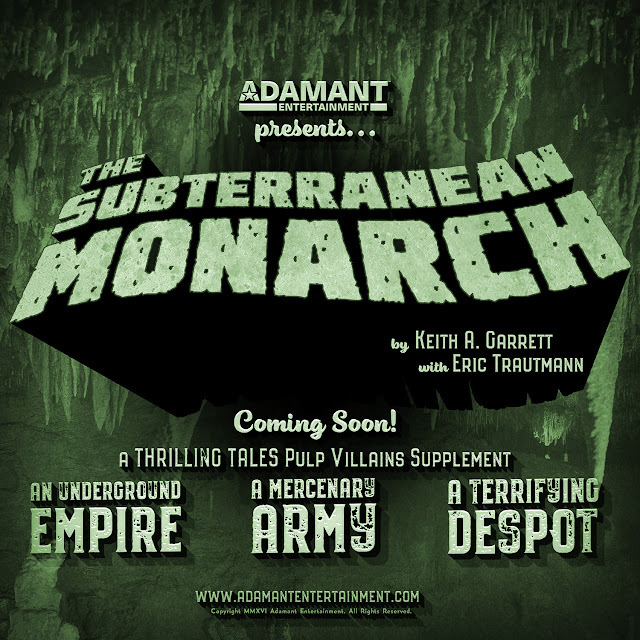 Pulp Villains: The Subterranean Monarch, by Keith A. Garrett and Eric Trautmann, uses the Savage Worlds rules system, as featured in THRILLING TALES 2nd Edition.